Our theme for the 2017 US Trail Running Conference was making Strides in Innovation. Here is the next in a series of posts focused on participating sponsors and our expert panelists on how they have used innovations to drive their products, service and races. Can you share a quick run down of your own running and racing history? My background with running, really started as an adventure racer. I’ve always loved adventure, even as a kid I spent every minute possible walking through the woods and pastures of Kansas where I grew up. I stumbled onto adventure racing about 15 years ago and found the same excitement I had as a child, except in this case it wasn’t time spent looking for lizards, animals and fish, this was full on go time spent chasing checkpoints via a map and compass with an amazing team. When did you start Orange Mud, and what was the first product you brought to market? We started in January of 2012, just a few months after we had our first kid. My wife and I both had pretty stressful and very long hour jobs which one of us had to concede, and I always wanted to make a hydration pack that had been in my heads for years. So after a long run one day, and just a few months after finishing an Ironman where I hated stashing bottles, I went into the garage and destroyed a gun holster, tie down straps, and an old waist pack where I converted it into what is now called the HydraQuiver. It’s a bottle based pack that is meant to be simple. Just a bottle, some gels, your phone, and a key. 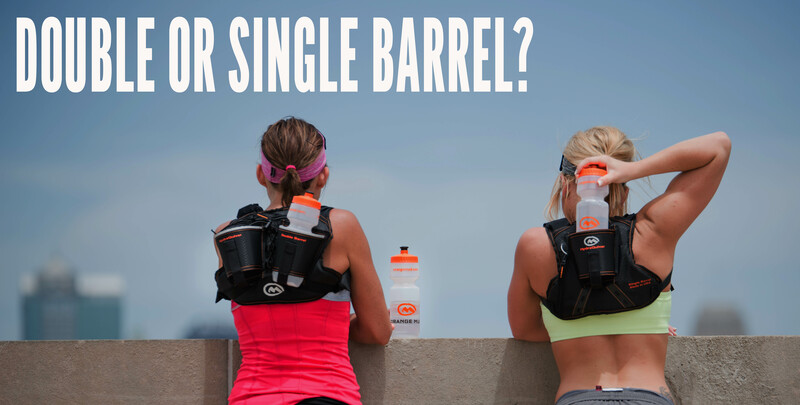 You have said that OM came to be because you wanted to change the way runners look at hydration. Do you feel that you have achieved that objective yet? Heck yeah! 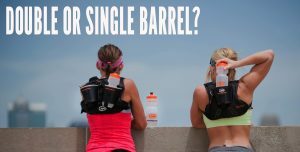 You can see our bottle based packs at almost any race you go to from road to trails, and 5k to 200 miles. Too many packs are super long, put weight on your chest, and don’t have good pockets up front for quick access and certainly not on your shoulders. The transition and seat wrap gave you a big break after it was featured by Runner’s World as a gear of the year item. Did that surprise you, and how did the idea for the wrap come to you? Surprise? Heck yeah. 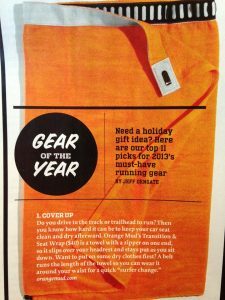 When the editor of Runner’s World called in raving about it, and asking whether or not he could put it in the magazine as “Gear of The Year”, I was waiting for the pitch. Like, “oh yeah, it will be $20,000 to be in the magazine too.” So when we hung up and there wasn’t a catch, we were very excited. This was a major break for us, and major tipping point really for our brand, as it brought a lot of recognition and research into our brand that grew more than just Transition Wrap sales. The idea behind the Transition Wrap came from a day of mountain biking on the trails. I was changing from work clothes to my workout gear at my car and thought I really should not be naked in public. Plus the big one was that I hated sitting on my nice car seats when I’m a sweaty, dirty, sometimes bloody, disgusting mess after a ride or run, hence where the seat cover aspect came in too. This is one of the products that I’ve spent the least amount of time designing, that has certainly created some amazing worldwide recognition! I wish all products went that way. You have now moved production outside the US for your products. Was this a tough decision, and what were the key drivers behind the move? We started Orange Mud with the goal of making as much as possible in the USA. I still remember a VP at a big company, which I’ll leave out of this, telling me “you’re naïve and an idiot if you think anyone care about things being made in the USA.” That really ticked me off, as I don’t believe that as a majority, but I do believe the extreme majority doesn’t want to pay a premium for making things in the USA. As our business has grown we’ve seen 87% price increases to our cost of goods and thanks to labor laws and wage increases in California that have passed, the future is only going to bring further increases. I expected to hit over a 200% increase by 2021 from 2014 with current projections. On top of that, none of our competition makes products in the USA and given that your competition is certainly a piece of the pricing puzzle, that didn’t help. And lastly we were more limited in the US in terms of a supplier network. Everyone says “keep jobs here” but what many don’t realize is that there are a lot of industries that don’t have a strong labor pool to pull from in the US. Sewing being one of them. There are about a hundred other reasons too, like impact on cash flow due to a higher cost of inventory, resulting in limiting your new product launches, limiting changes, design constraints based upon the knowledge base here in the US, taxation issues, etc, but at the core is what’s listed above. How important would you say innovation has been to your new products, and can you share any news on products that will be available soon? It’s a massive focus of each product we release. Granted sometimes it’s just keeping it simple and putting a big focus on quality and durability, but we always try to put our spin on each piece of new gear to perform better than what is currently on the market. One big pet peeve of mine is poor quality, something that I’ve seen a lot of in the pack industry. I want our customers to not only love their pack for it’s innovative features, but also because it’s going to last them a very long time. On the new product front, we have some really fun stuff in the works. One is a new 8L bladder pack that is going to be spun off a similar footprint as our Adventure Pack 12L and this will fall in between our Endurance Pack 4L. I try and be careful not to just overlap products, but as we continue to have some very strong growth we try and eliminate the gaps in our product range and this is an area that we get quite a few request. We also have a new version of our HydraQuiver Vest Pack 2 coming out in the spring with a new chest harness. On top of that we have a new Lifestyle pack, still up in the air for names, that is just a fun every day carry piece. I should also note that we launched 4 new packs in 2017 too! The Gear Vest, PFV, Adventure Pack 12L, Adventure Pack 20L and made a new revision to our HydraQuiver VP1 which is really cool. 2017 was your second year as a sponsor of the US Trail Running Conference. What were your highlights from 2016? 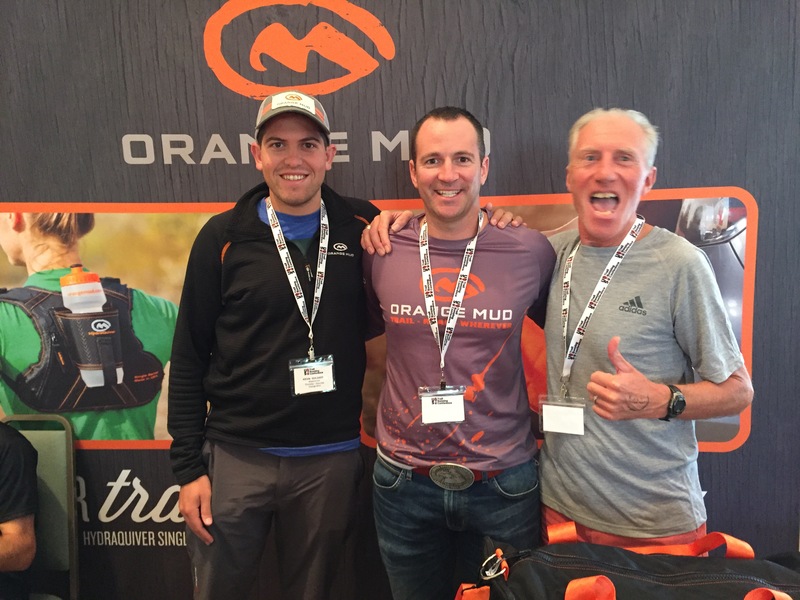 What did you enjoy most about the 2017 Conference, and how does participation benefit Orange Mud? If you care about the sport of trail running as much as I do, you’ll appreciate that this conference focuses on improving the sport by engaging the panelist and audience both during sessions and in off session talks. As a benefit to Orange Mud, we’ve enjoyed being able to talk more to the point about how a brand sponsorship with an event brings a mutual benefit to both parties. This entry was posted in atra, orange mud, trail race directors, trail running, trail running conference and tagged active at altitude, adventure pack, atra, brand partnerships, hydraquiver, lifestyle pack, orange mud, race slo, runners world, share slo, trail conference, trail running, transition wrap. Bookmark the permalink.